First Ratatouille, now this! What's with all these rats infesting the kitchens? 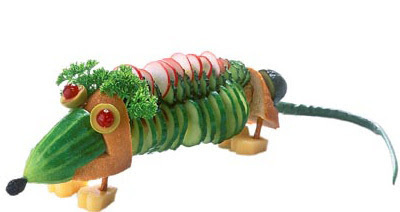 Click here for more sandwich art. I couldn't eat it. Did you ? @smita: Doesn't surprise me! I am sure many would share your view.